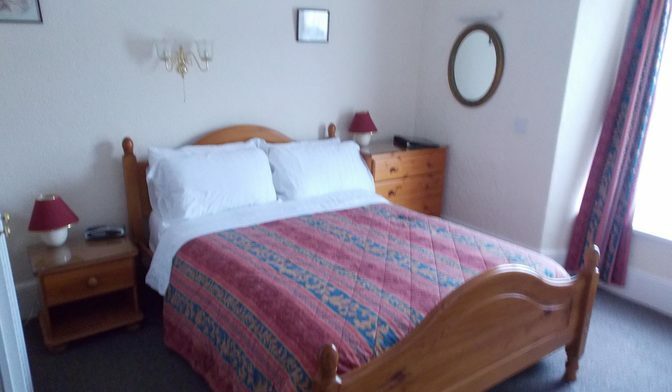 The Darnley Hotel.Self catering Ilfracombe, North Devon.Mobility Access. On request this information can be supplied in larger print. It is our aim to provide an equal welcome for all our guests, disabled and able bodied. We do not wish anyone to book a holiday that is unlikely to suit and we will offer our best advice to all prospective guests. 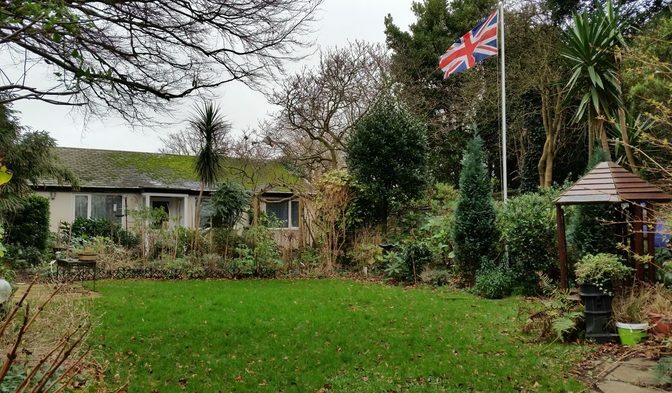 The geography of Ilfracombe and the nature of our building, a Victorian House, not a purpose built hotel, does offer certain limitations and this may be important to you. Please ask us before booking if you are at all doubtful or have any particular needs that you would like us to know about i.e. dietary or disability requirements. Our Car Park is at the front of the Hotel and is relatively level. Access to the Hotel is via 5 gradual steps ranging from 15cm to 17cm in height. Assistance with luggage is always available. Our Reception is sited on the ground floor which is level. 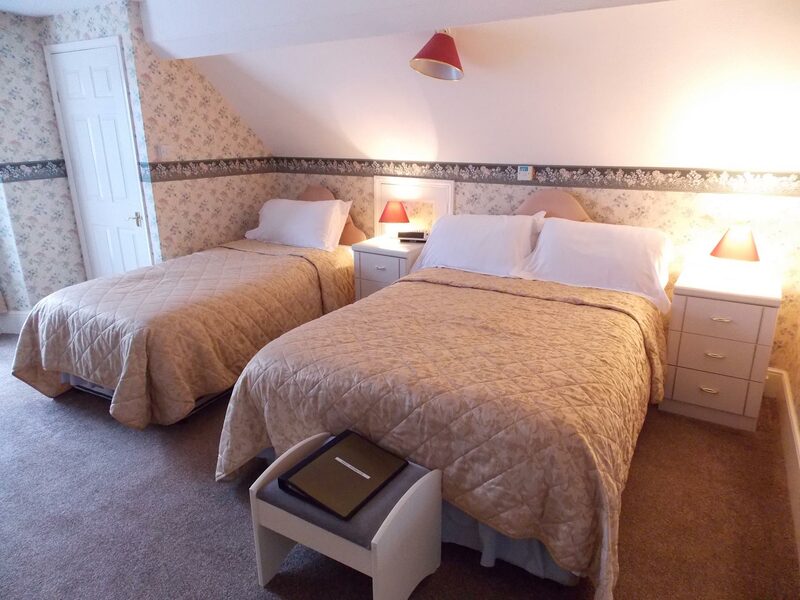 We have two ground floor double en-suite bedrooms (one being a standard en-suite, the other a A Twin/Super King Superior Room)....both having Mobility access. The showers have a minimum 11cm raised ledge. The remainder of our bedrooms are sited over three further floors, accessed via a staircase with one good handrail/banisters. The steps are all 17cm in height. There are 14 steps to the first half landing and 8 further steps to the first floor. There are a further 11 steps to the next half landing, and a further 7 steps to the second floor. There are a further 15 steps to the third floor. Seating is provided on all the major landings. 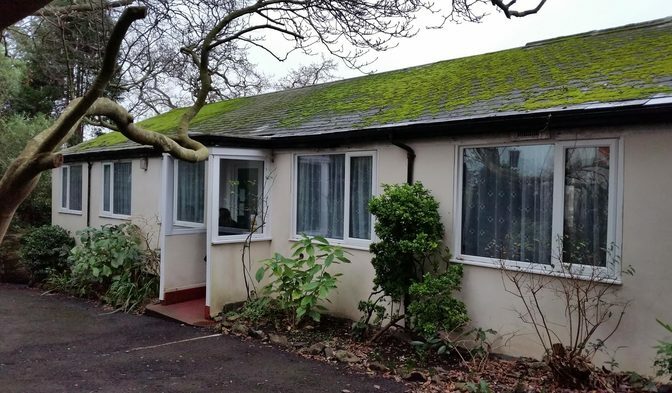 The majority of our bedrooms are en-suite, have the same level of decoration and each room is provided as standard with a hair-drier, clock radio, television and tea & coffee making facilities. We have the necessary fire alarms in place with an audible fire alarm. We as owners are responsible to ensure that all guests are evacuated in an emergency requiring evacuation. If any guest requires any additional support in the case of fire or another emergency, we will arrange this with you. Emergency lighting is fitted. We have a Guest Lounge which is located on the ground floor near Reception, and this can be enjoyed at any time of the day or evening. The Evening Menu and Wine list is displayed at Reception, together with local literature. The Dining Room and Bar is situated on the lower ground floor and is accessed via one flight of 17 stairs of 17cm height. Again there is one good handrail/banister. The Dining Room and Bar are both totally level, and there is a WC. Entry to the Dining Room and Bar is also available via the garden and accessed via 6 steps of 19cm height. Full Waitress service is available at meals. We can store any medication that needs to be refrigerated. The Garden is fairly level and is accessed off the Car Park via a path which has a very slight slope. As will be seen from our brochure, website and tariff Pets are welcome. We have extensive information in the hotel about the local area and its facilities and we know the area well and can make suitable recommendations according to your interests and needs. Our two holiday cottages are located within the grounds of the Hotel, and have parking spaces located outside of the front door of the cottages. Both cottages are accessed via a communal outer door, and this is reached by two small steps. The first step is approximately 3-4” high, then there is a level walk of 1-2 paces to the next step which is approximately 8” high. This leads into a communal hallway which is flat. Mobility access via a ramp can be provided. Magnolia Cottage opens into a hallway, all rooms are on the level with no steps. There is a double bedded room and a twin bedded room. A separate WC. There is a Kitchen with normal height units and gas cooker. The lounge/dining room has a 4 seater corner sofa bed. Dining Table with Four Chairs. The bathroom has a slight incline which has easy access. There is a bath with a shower over, a WC and basin. Beech Cottage opens into a hallway, all rooms are on the level with no steps. There is a double bedded room and a twin bedded room. There is a Kitchen with normal height units and gas cooker. There is a dining table with bench seats in the lounge with a 2 seater settee and two arm chairs. The bathroom is accessed with a slight incline but fairly easy access. There is a bath with a shower over, and a WC and basin. We would point out that the wooded pathway leading down to the bottom of the property is very steep and would not, in our opinion, be suitable for wheelchair users, or those with walking difficulties. This pathway is illuminated at night until 11.30pm. We would suggest that the front entrance to the hotel under the walled arch is used after this time. There are many car parks situated along the Ilfracombe Seafront and it may be an idea to drive down to one of these car parks thereafter the walking is fairly level.